A few days ago, a friend asked me which of my books I’d most want to make into a movie. 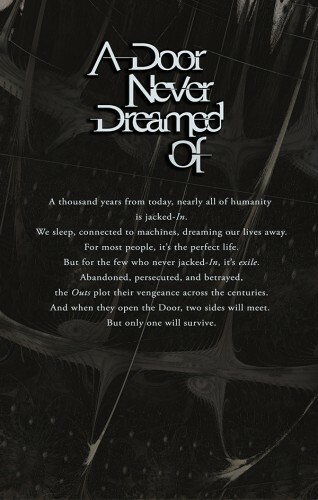 A thousand years from today, nearly all of humanity is jacked-In. We sleep, connected to machines, dreaming our lives away. For most people, it’s the perfect life. But for the few who never jacked-In, it’s exile. Abandoned, persecuted, and betrayed, the Outs plot their vengeance across the centuries. Get your copy today, and open the Door. A Door Never Dreamed Of – Opened! For most, it’s the perfect life. And when they open the Door, two sides will meet. The beautiful SOFTCOVER, featuring the stunning art of Amanda Makepeace. The deadly E-BOOK. Ending Kindles everywhere. 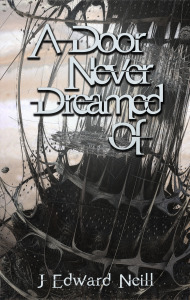 A Door Never Dreamed Of – Cover Reveal! 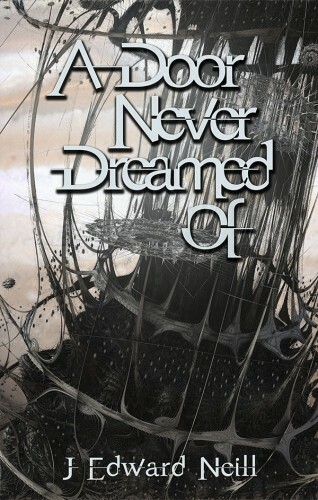 A few weeks ago, I teased the backstory for my upcoming sci-fi novella, A Door Never Dreamed Of. As for the cover art, it’s been done for more than a month. In August I reached out to Tessera Guild goddess, Amanda Makepeace. It felt like an obvious choice. I mean…she’d already done amazing work on the covers for The Sleepers, Hollow Empire, Nether Kingdom, and Old Man of Tessera. I never had any doubt about who I was gonna ask. 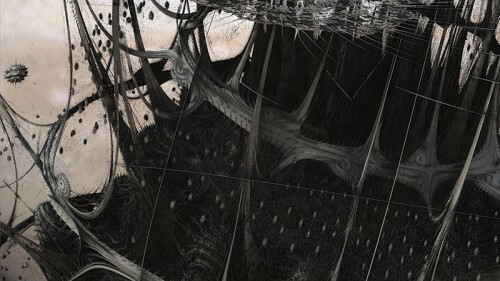 The scary, spidery, black-as-death image she’d created was perfect for the Achilles space station, home of the exiled Outs. Update: this title is NOW AVAILABLE! If you need cover work or if you just want cool art for your house, I suggest Lady Makepeace. You can’t go wrong.